Biggest Challenge: Hogan Prep has been a consistently good program over the last decade. That consistency will be tested this year as the Rams are looking to replace their entire offensive line. That group will be young and how quickly they get up to game speed will have a huge impact on Hogan this season. 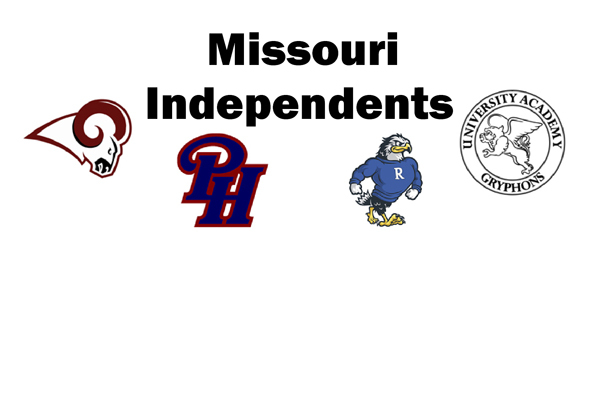 Outlook: Last year the Rams where a botched onside kick recovery from beating eventual Missouri Class 3 champ Oak Grove in the playoffs. Hogan always has athletes and is well coached. This year the Rams will be tested early with games against Lincoln Prep and Eldon and how the new players adjust will be key. If the new players are able to step in and play well look for another strong year from Hogan Prep. Coach’s thoughts: "I like the cohesiveness, the chemistry and the work ethic. It's kind of continued throughout the years and they have kind of learned a lot from last year's group. I think we have some good challenges ahead of us and that's one thing that our coaching staff and our kids want, they want to be challenged each week." Biggest Challenge: The Raiders bring almost everybody back so learning being ready for Friday night isn’t an issue. The team is solid on both sides of the ball and Pembroke Hill is now focusing team concepts and being together on all aspects of team play. Outlook: It was a tough season for Pembroke Hill in 2015 but this group has the chance to turn things in the right direction in a hurry. With nine starters on both sides of the ball the Raiders bring back lots of experience along with good size and speed. If Pembroke Hill can avoid major injuries they could be a team to watch in Class 3 this season. Biggest Challenge: Rockhurst is always a senior dominated team so the Hawklets are in the usual position of finding a decent number of new starters for this season. One area of focus will be at receiver. Rockhurst lost three very talented seniors and getting the new receivers up to speed is a focus of the early part of the season. Outlook: Rockhurst is always among the top teams in Missouri Class 6 and one of the favorites to win the state title almost every year. Last year’s team went to the championship game and this year could produce another deep run. The Hawklets will again play a tough schedule so there might be a few losses along the way but this is one of the favorites to come out of its district in the postseason. 9/11 @ Springdale Har-Ber, Ark. Biggest Challenge: There are players coming back but the Gryphons lost a group of seniors who played in key positions. How those young players step up early will be a big test for University Academy especially with two tough games with Center and Plattsburg to start the season. Outlook: University Academy has rebounded from low numbers just a few years ago and is now starting to see consistent participation along with a good group of players committed to the program. The Gryphons have a tough early schedule and if they can come out of that healthy they should be set up for a nice season.